Prep your jars/lids. Evenly divide the spices and figs between 2 pint jars. 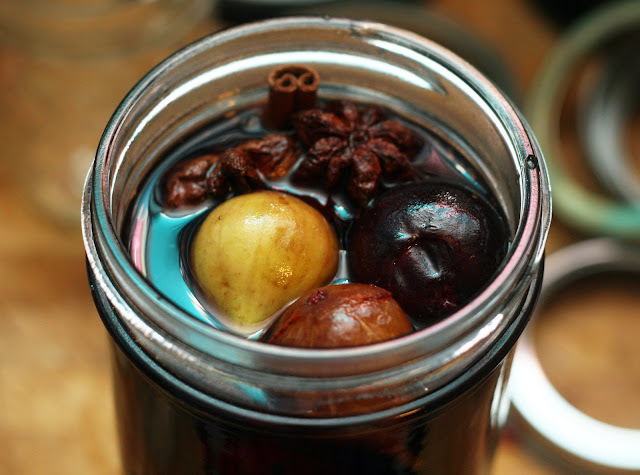 Combine the water, port vinegar and sugar in a saucepan and bring to a low boil. Stir to dissolve the sugar. Pour brine over the figs, leaving 1/2 inch of headspace. Remove any bubbles. Seal and process in a water bath for 10 minutes. Allow to sit one week prior to eating. I've become a big fan of fruit pickles since I've started canning. You don't see them a lot in the stores, but they are easy to make at home. If you don't want to go through the hassle of canning them to store you can just refrigerate them instead. 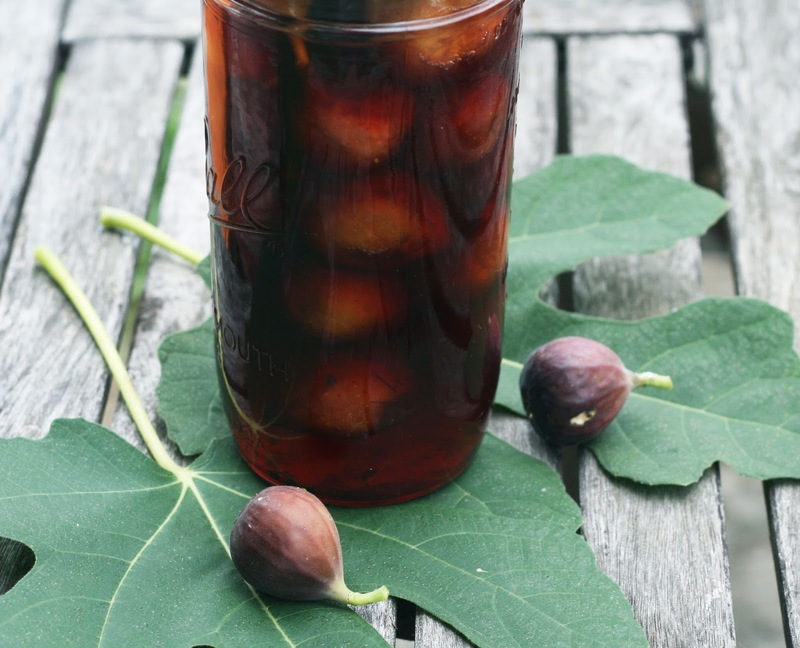 I used figs I picked in our own backyard which is always fun, but I didn't have many so I made a very small batch. You could double this without any problem for a larger yield. I added tons of spices and port for a richer flavor that pairs wonderfully with cheese. Or just eat them as-is or on a panini, any place that needs a fruity kick!